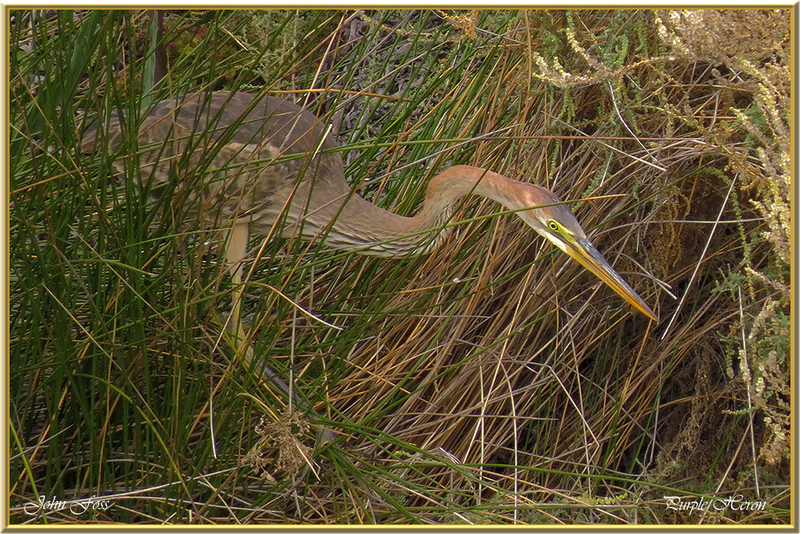 Purple Heron - Similar to our Grey Heron but slightly smaller with a darker plumage. 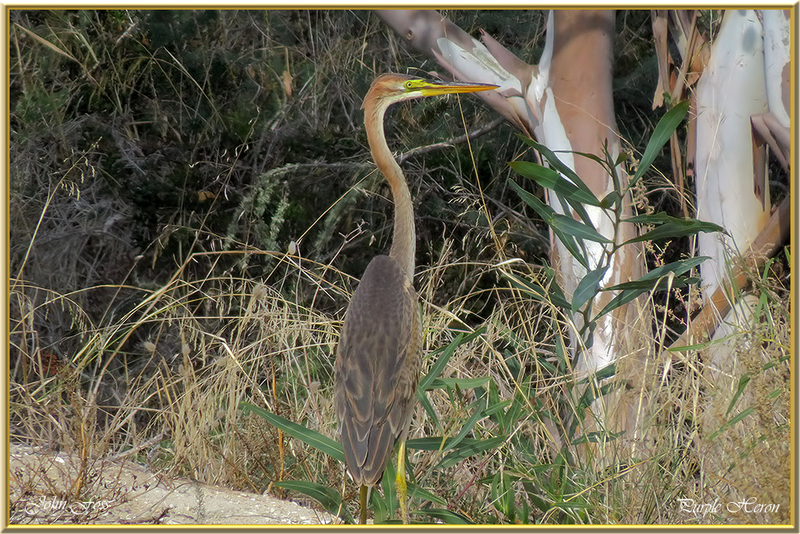 These herons are a summer visitor to Portugal were I saw this one in Quinta Do Lago. 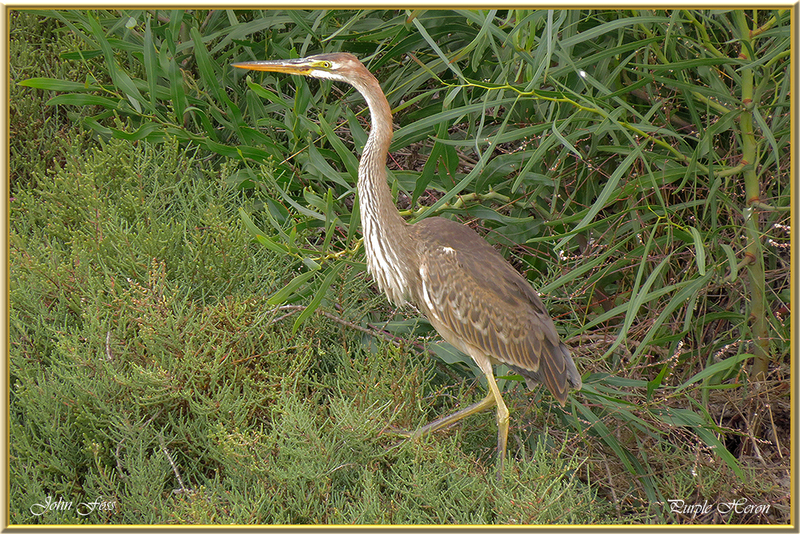 It inhabits swamps and reedbeds and has a varied diet of frogs, fish,insects, lizards etc. 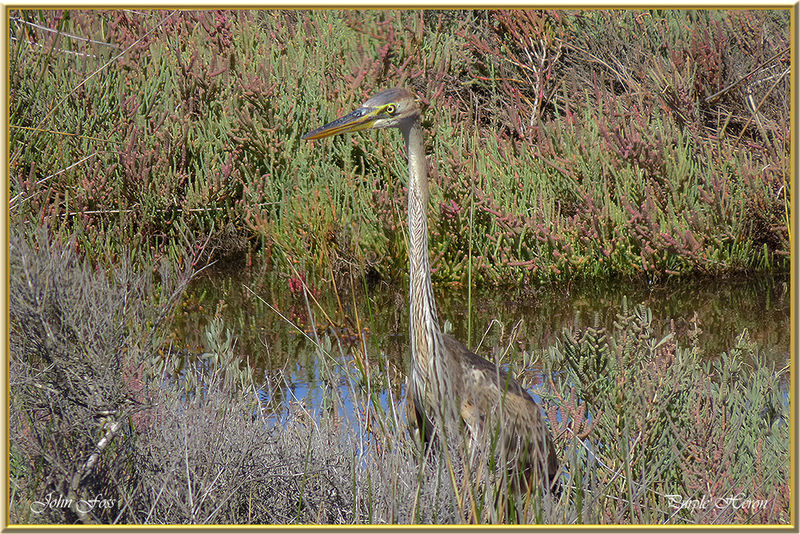 It hunts by standing motionless at the waters edge waiting for passing prey. 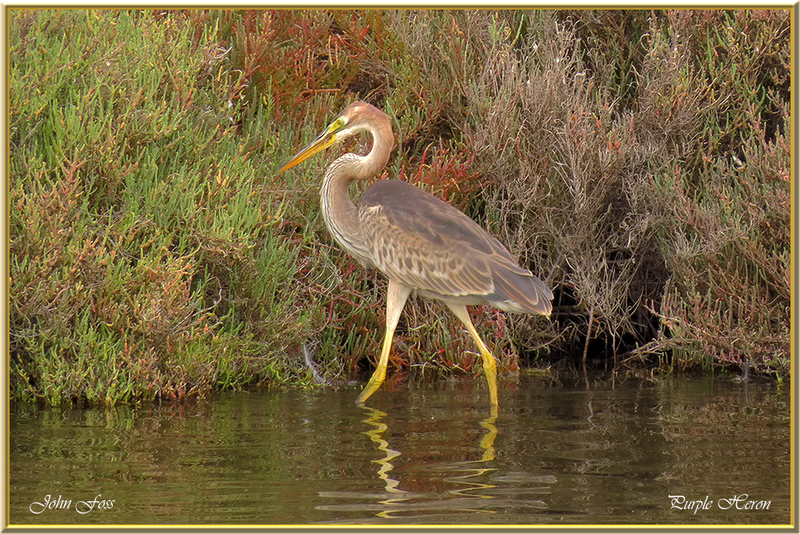 They winter in Africa. 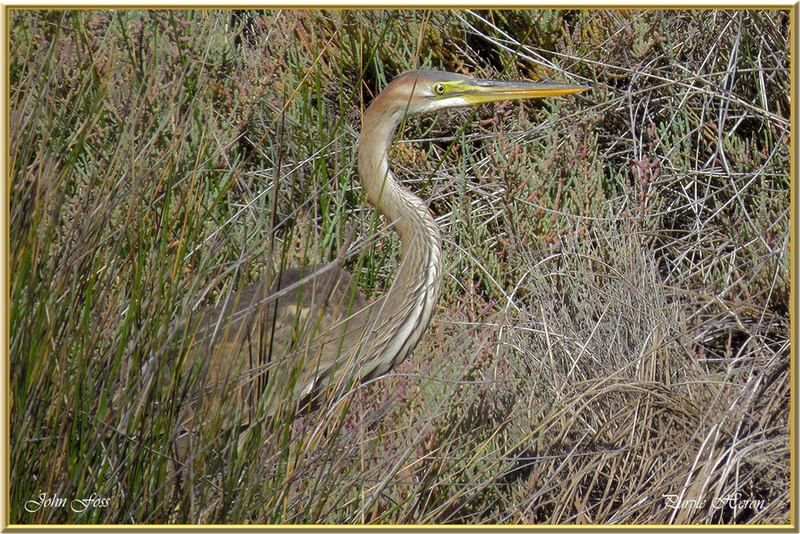 Purple Herons are rare vagrants to Britain and Ireland with only a few being recorded here. 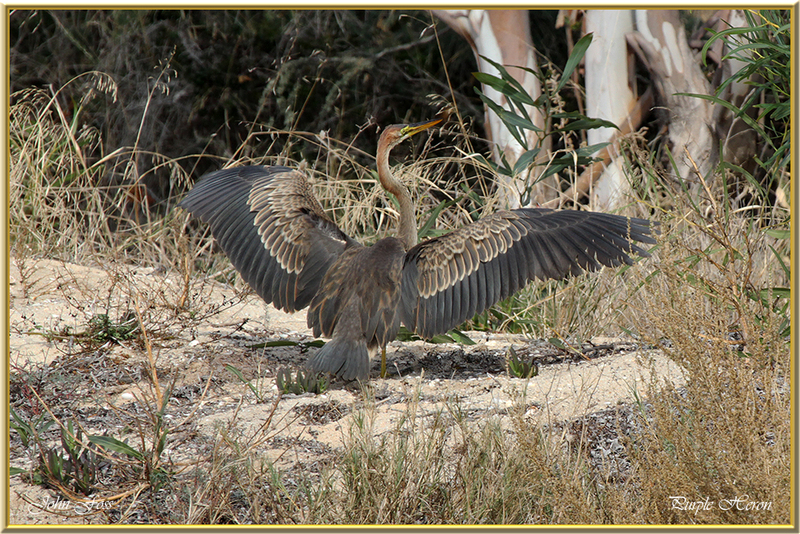 Purple Heron at Ludo salt pans Quinta do Lago Portugal.